Villa del Arco Beach Resort & Spa is the idyllic choice for your Cabo destination wedding. In addition to a number of value-added Cabo wedding packages, the luxury resort has sensational venues for your ceremony and reception, as well as luxury accommodations, exclusive amenities, and the idyllic location to make your Los Cabos weddings and honeymoon dreamlike and magical. After speaking with our professional wedding planners, you’ll know there really is no other choice than Villa del Arco Cabo San Lucas for your big day. 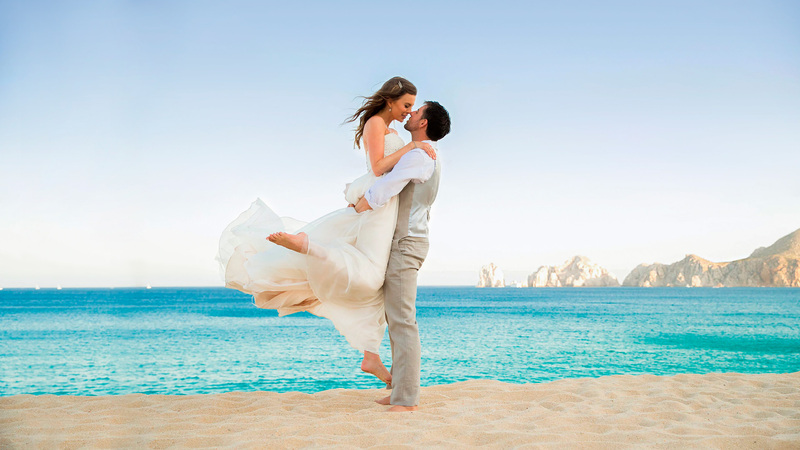 At Villa del Arco Cabo San Lucas, you’ll find a host of special services designed to make your wedding day incredible. Our team of certified wedding professionals, including planners, photographers, videographers, florists, designers, musicians, and bridal beauty experts work together to ensure your Cabo destination wedding fulfills all your expectations. Offering nothing less than perfection, these individuals are dedicated to helping you make your day unique and memorable. In addition to our stellar services and Cabo wedding packages, you’ll find the perfect honeymoon options for when your vows are said and done. The superior suites and luxury amenities at Villa del Arco Beach Resort & Spa will have you rejoicing in more than just your recent nuptials. Strengthen those initial promises of commitment when you celebrate your recent nuptials or declare your love once again with our complete honeymoon and vow renewal packages at Villa del Arco Beach Resort & Spa, where romance, privacy, and opportunities for togetherness abound. Our honeymoon and vow renewal packages provide all the tools you need for the romantic outing of your dreams. Our Honeymoon package has been created to give newlyweds the intimacy they desire, while at the same time providing the romantic ambiance needed for an exclusive honeymoon in Cabo San Lucas.